Same design and features as the Professional Thumper Massager, but more powerful, and the best machine for athletes and people who want a deeper massage. The only massager for your horses, pets and livestock. This is the Thumper model that is used by professional sports teams, and in professional equine training and competition. Anyone can use the Equine Thumper. Click here to read about the benefits of Thumper Massage in humans. Horse trainers have discovered what doctors, chiropractors and professional athletes have known for years, that Thumper® works. 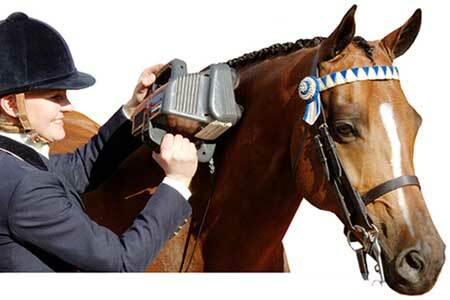 The Thumper was designed by a chiropractor to use on his patients and has proven just as effective on equines. 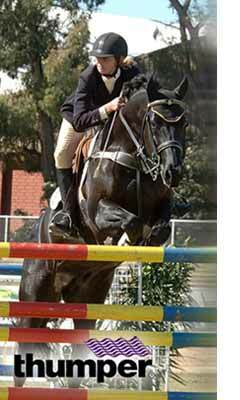 Thumper has been used with remarkable success on racehorses, hunter/jumpers, rodeo and reining horses. Dressage horses, 3-day eventers, professional cutting horses, polo ponies, draft horses and chuck wagon teams. Even if your horse is not an athlete, Thumper is great for horses that don't get enough exercise or those who just need some pampering. It also has proven to be very successful for ease of delivery of foaling mares. 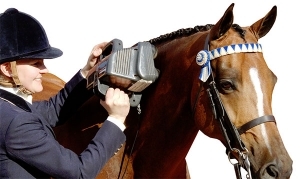 Thumper is ideal for horses in training or competition, recovering from an injury and those who are nervous or "sour". 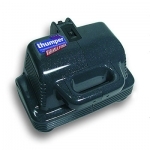 Thumper relieves muscle aches and relaxes and improves the attitude of difficult horses. 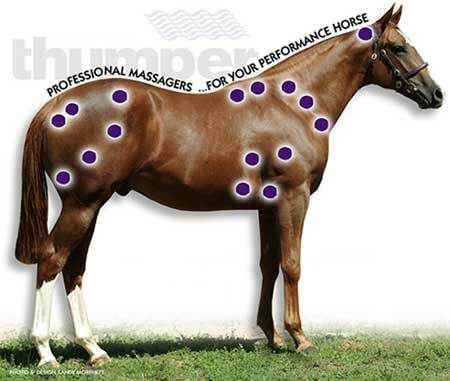 Your horse will enjoy being massaged , and both you and your horse will benefit from the results. The areas shown below are the first to break down on a horse during a strenuous activity and are the root of most lameness problems. Most injuries in horses are a result of repeated stress and overuse. A physically fit horse has very strong, tight muscles that naturally produce extreme resistance. Keeping these muscles relaxed and working freely will enable your horse to preform at its best. A daily maintenance program will includes Thumper massages will help prevent muscles injuries from developing while allowing your horse to realize its full potential. Massage increases blood supply and nutrition to the muscles which helps prevent the buildup of harmful "fatigue" products resulting from strenuous exercise or injury. Massage speeds up the recovery process, dramatically reducing recovery time by half. Massage dilates blood vessels, improving circulation and relieving congestion throughout body. Massage improves circulation and nutrition of joints, and hastens the elimination of harmful deposits. It helps lessen inflammation and swelling in joints and so alleviates pain. Massage can compensate, in part, for lack of exercise and muscular contraction in horses who because of injury, illness, or age are forced to remain inactive. Vertical, percussive massage, not orbital. This massager will penetrate vertically into the muscle.